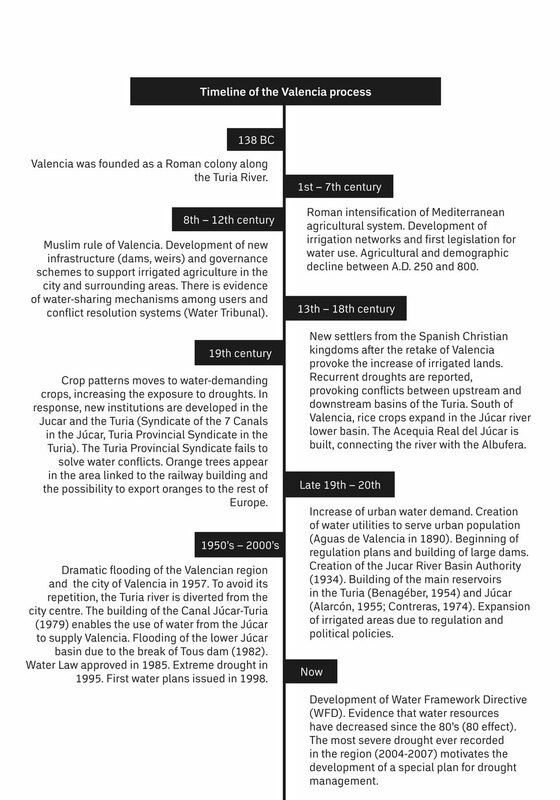 valencia, a history with water - Welcome at Urban Climate Adaptation! 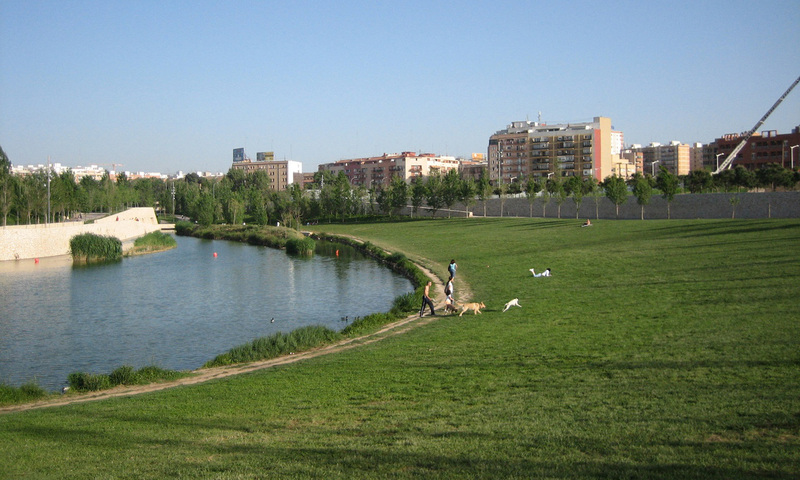 In the metropolitan area of Valencia the water use is intense and the region suffers from frequent droughts due to climate conditions. Valencia is surrounded by an agricultural landscape with deep cultural significance and with a multi-sectoral structure in which irrigated agriculture plays an important role in the consumption of water. 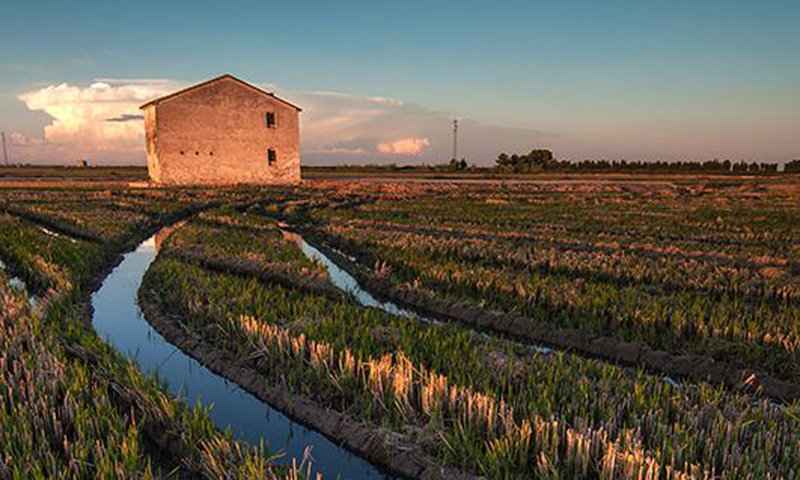 The Albufera Natural Park, less than 10 km south of Valencia, is a freshwater lagoon and its surroundings rice plots. 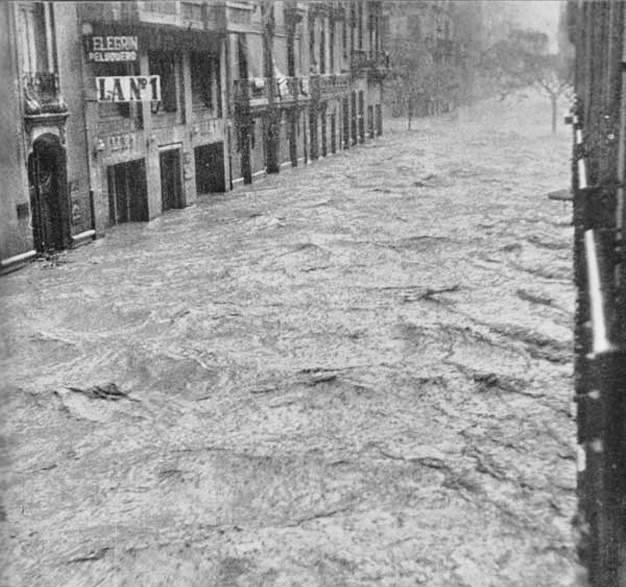 Given the predicted adverse effects of climate change, it is important for the City of Valencia to develop adaptation strategies for the future climate. The mandate for the INNOVA project is to develop a climate service that satisfies the water use needs to support the distribution of potable water to its users. 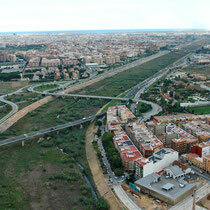 The second INNOVA e-zine shows the climate and adaptation challenges the Valencia region is facing. 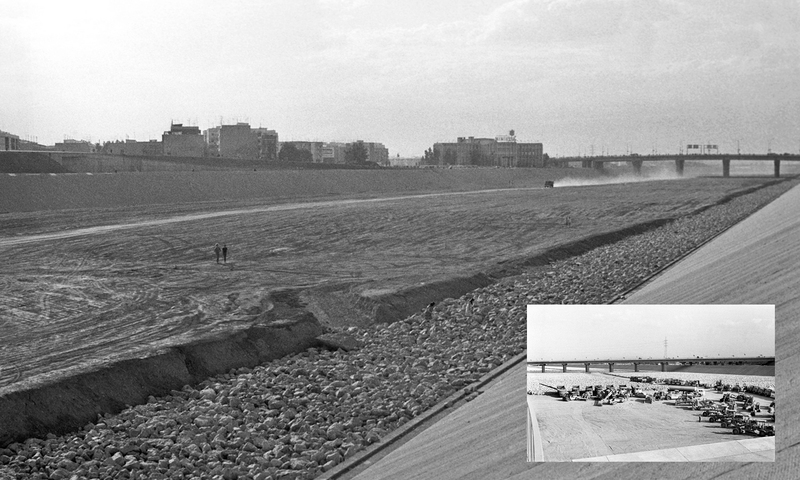 The first issue showed the Mirror Waal project in the Nijmegen area (NL). 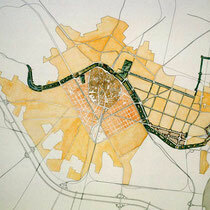 From awareness of upcoming flooding risks, via complex planning and design efforts into the final result. 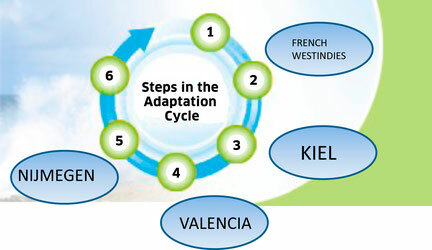 Whereas Nijmegen is far in the Adaptation Cycle; the Valencia metropolitan area is between the steps of identifying adaptation options (Step 3) and assessing these options (Step 4). 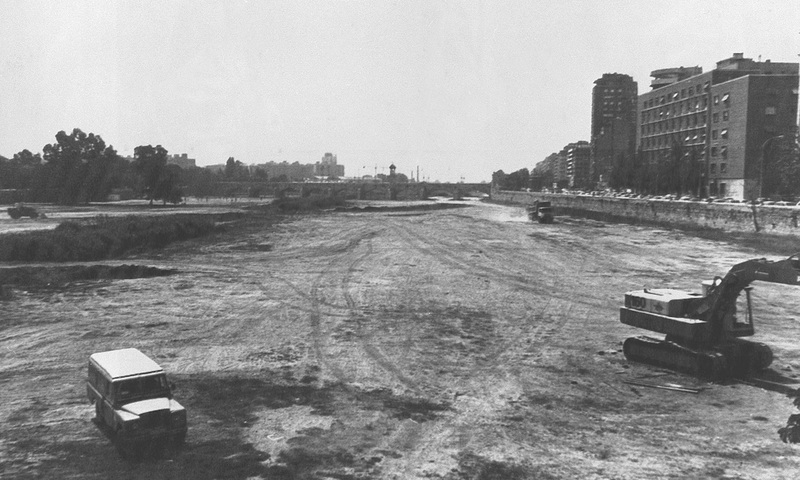 View on the former Turia riverbed. 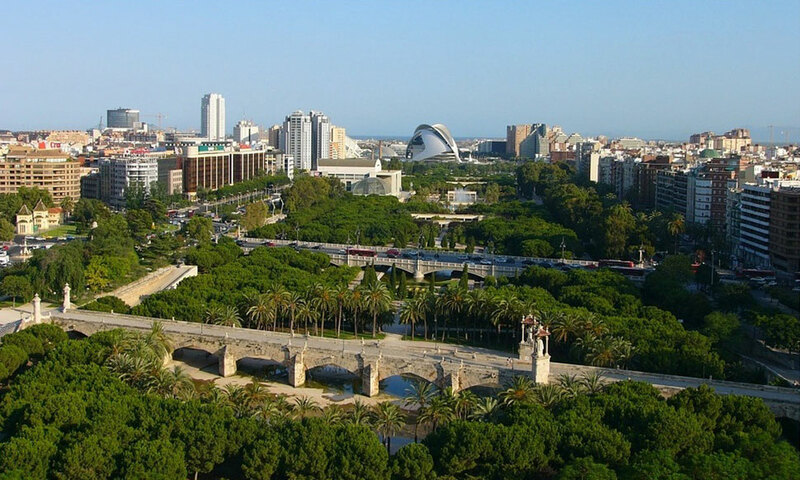 With around 800.000 inhabitants in the city and more than 1.5 million people living in the surrounding metropolitan area, Valencia is the third largest city in Spain. 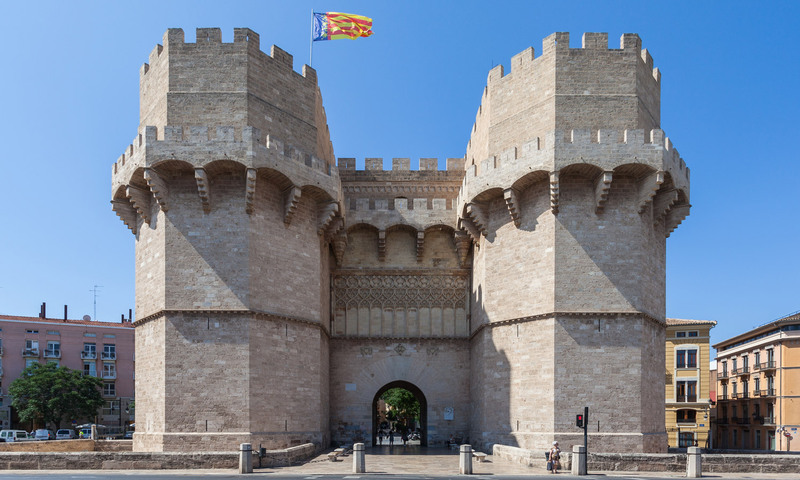 Founded as a Roman colony in 138 BC, Valencia is located on the east coast of Spain. 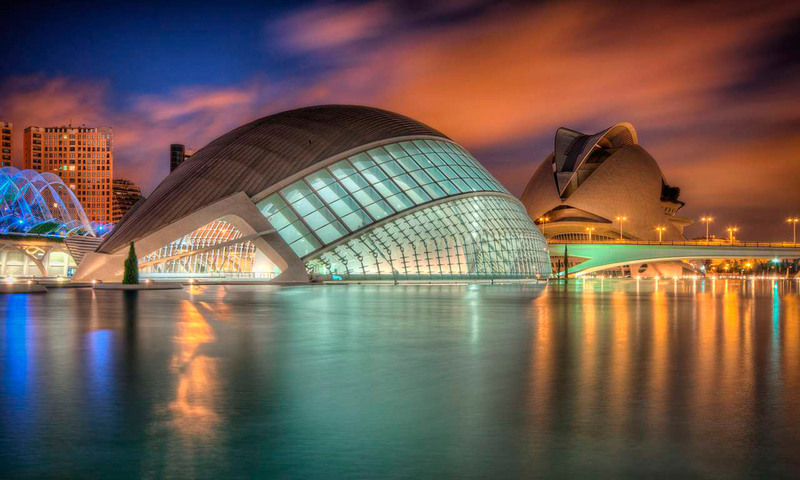 The city of Valencia has a historical relationship with water, both marine and fresh, as the city spreads along the margins of the Turia River and by the Mediterranean Sea. 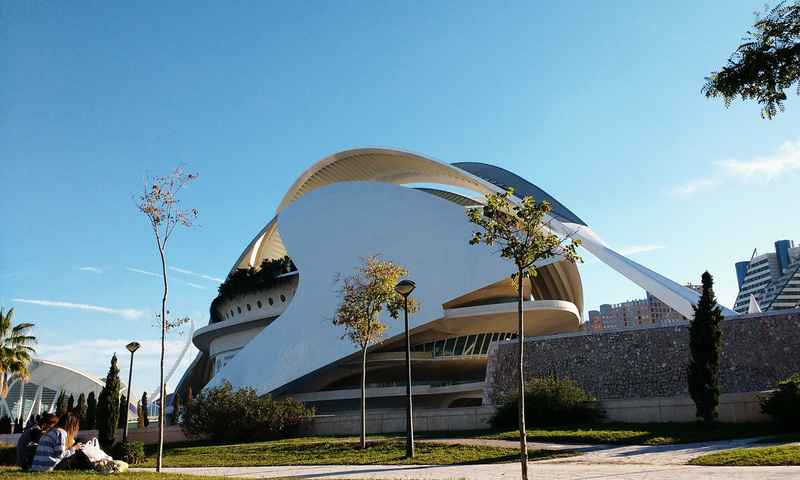 Contemporary Valencia is a combination of architectural styles that originate from a rich history and cultural diversity, ranging from gothic to baroque and from Islamic to modernist buildings. More than 2 million tourists visited Valencia in 2017. 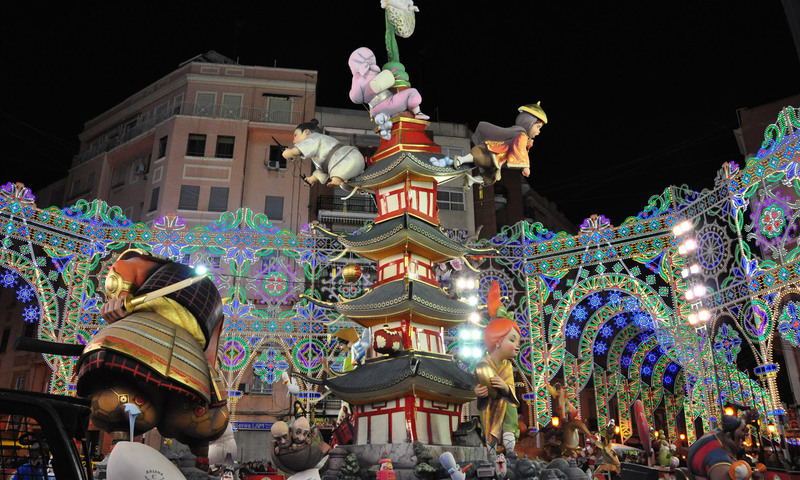 The features that tourists mention more often about the city are the nice weather all year round, the local beaches, the Mediterranean gastronomy and the cultural heritage and regional traditions, such as the “Valencian Falles”. Climate change is a major concern for regional and local administration on the Valencian region. 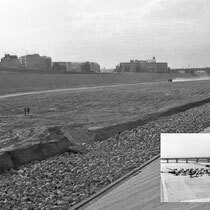 The main risks and vulnerabilities that climate change will bring to Valencia have already been profoundly studied, and nowadays the focus of research is shifting towards studying the best adaptation strategies available for the region. The city of Valencia is surrounded by what is known as the “Valencian orchard” or “l’Horta”, an agricultural landscape with deep cultural significance. The main crops of the region are citrus, vegetables and rice. 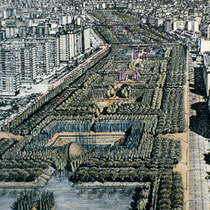 L’Horta as we know it today was developed during the medieval Islamic period. 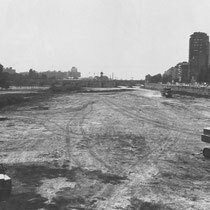 During that period irrigation ditches and small dams were constructed near the Turia and Jucar Rivers to irrigate crops. Many of these historical features still exist today and are still in use by farmers. 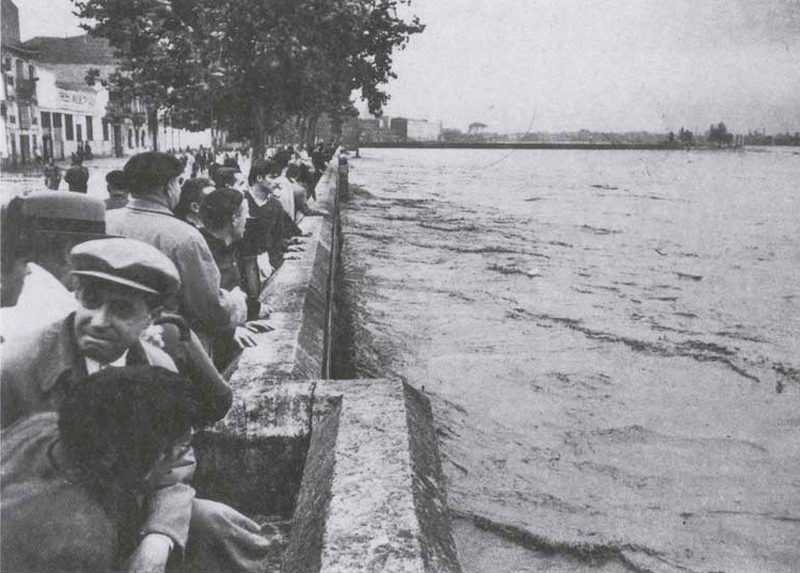 The long tradition of water management in the area is also reflected in the existence of long-standing institutions like the Tribunal de las Aguas (Water Tribunal). This tribunal, a customary court, dates back its origins to Islamic or even Roman days. 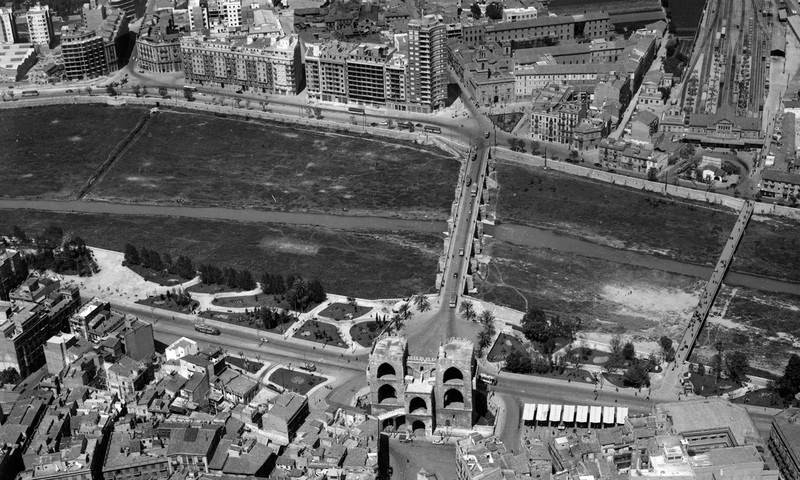 To this day, this court still settles irrigation disputes of farmers in nine irrigation communities around the city of Valencia. 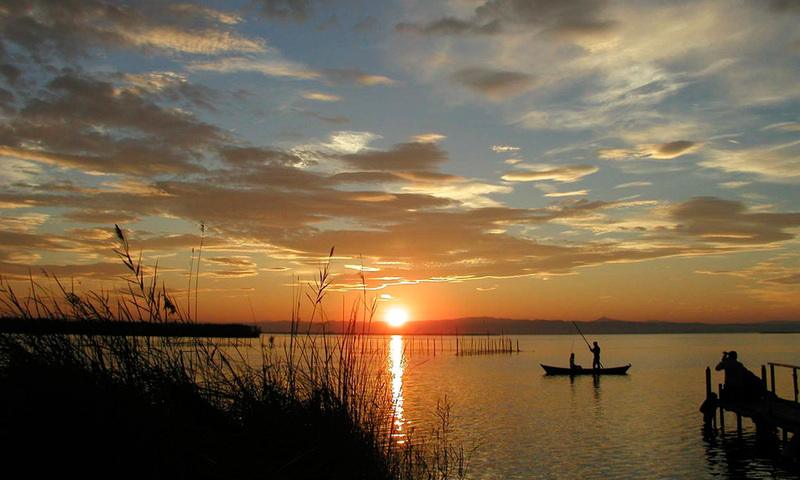 The Albufera Natural Park, less than 11 km south of Valencia, is a freshwater lagoon and its surroundings rice plots. 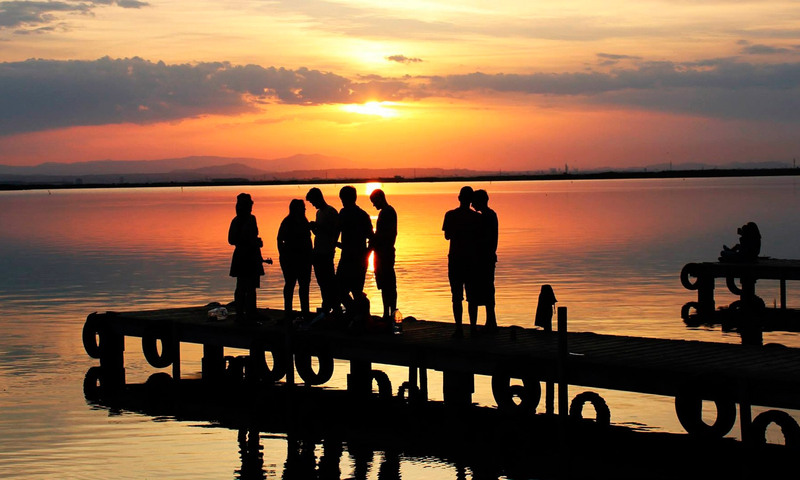 The lagoon is the main feature of the Valencian Albufera Natural Park, with a surface area of 21,120 hectares. The wetland and lagoon area has a high biodiversity sustained by its water ecosystem and the fields surrounding the lake, which are used for growing rice since the 18th century. Rice fields have great economic and environmental importance. Some of the species that live in the lake also use the surrounding rice crops, where sometimes water quality is better. This includes the grey heron, the great cormorant and the Hermann's tortoise. 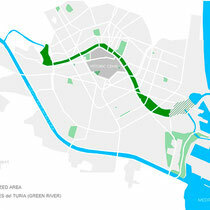 The urban water demand of Valencia and its metropolitan area is shared between the Jucar and the Turia River. Water for domestic purposes requires two water purification plants working 24 hours during the whole year. These plants are operated by the local company Aguas de Valencia. Waste water is treated in 19 treatment plants. 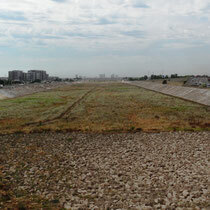 The EMSHI Company alone is responsible for treating the waste water generated by more than 1.6 million people. 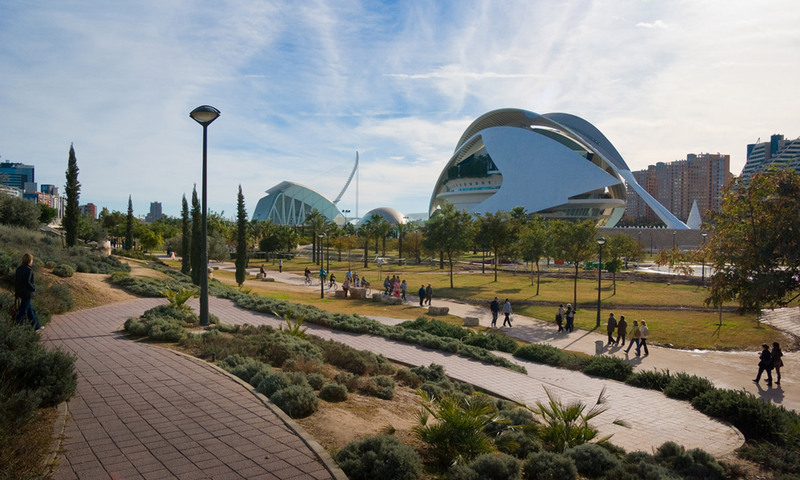 The Climate Change Adaptation Plan for the City of Valencia 2050 describes three main climate change impacts on the city. These are extreme climate and weather events (like droughts and floods), increase of average temperature and the decrease in average rainfall. 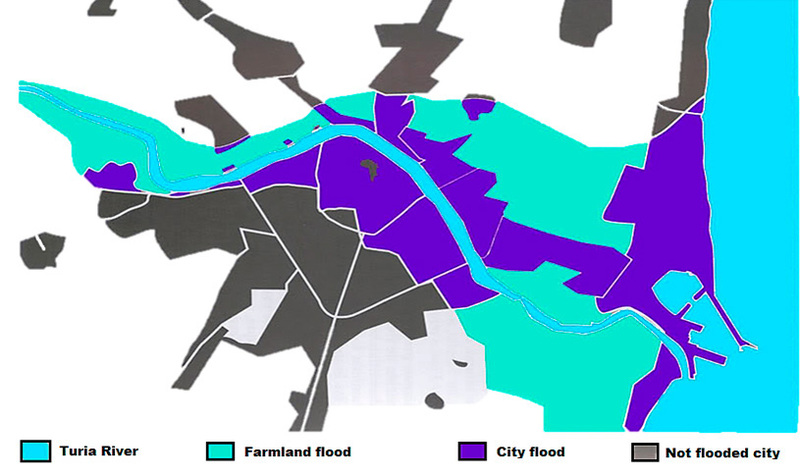 According to the Adaptation Plan, water is by far the most vulnerable resource (in terms of both availability and quality) for planning the city in the 2050 horizon. Water, as a scarce and valuable resource, is linked to effects on biodiversity of water dependent ecosystems (such as the Albufera), public health and agriculture. 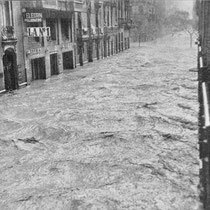 The close relationship between the city and its water resources has already been proved in the past by extreme events such as the Valencia flood in October of 1957 that caused the death of at least 81 people and motivated the deflection of the Turia River to circumvent the city. However, water scarcity and droughts are the main concern of the regional administration. Studies published in the Journal of Water Resources Planning and Management have estimated that the annual cost of climate change for agriculture in the Jucar River basin will amount to 8M € per year. This predicted loss is the result of the combined effect of increased temperature and decreased rainfall. 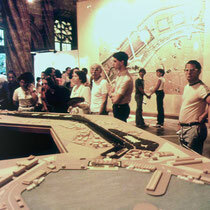 Tourism is another important economic activity of the Valencian region. 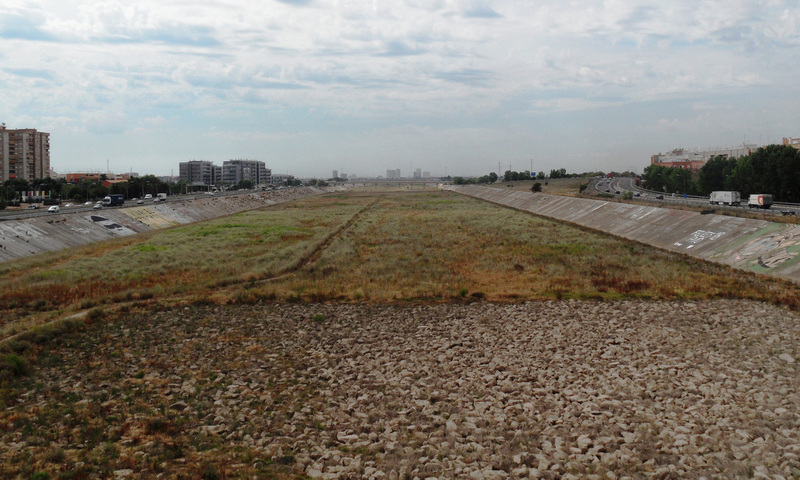 Studies commissioned by the regional government predict an impact of climate change on Valencia and the surroundings regions. A reduction in the climate comfort index due to higher average temperatures is the main concern of the administration for the tourism sector. 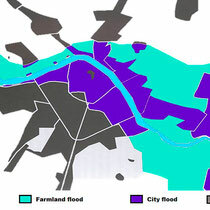 Given the predicted adverse effects of climate change it is important for the City of Valencia to develop adaptation strategies for the future climate. This adaptation response to climate change must include both government and civil society, and the multiple economic, social and ecological sectors of this area. 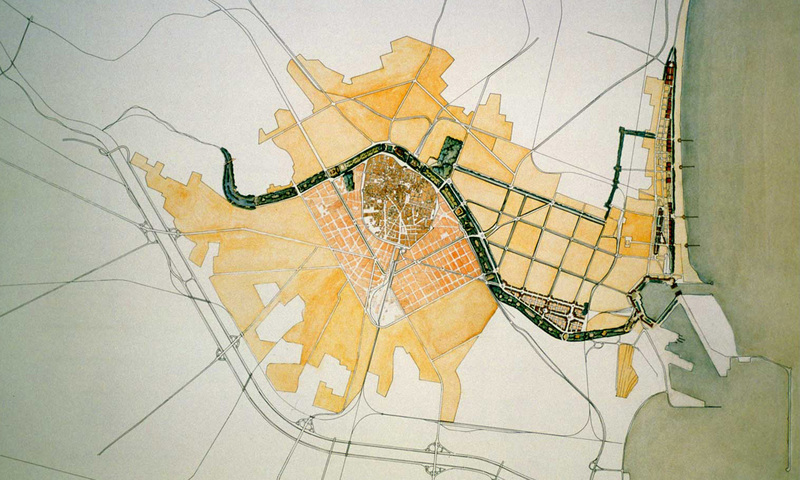 The role of scale is also critical for the development of successful adaptation strategies in cities. 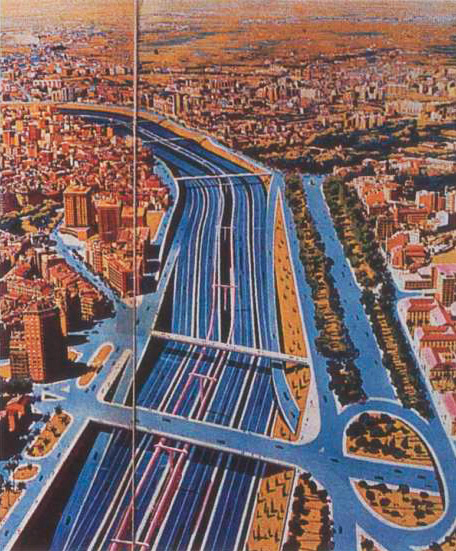 Nowadays, the studied adaptation measures for the region do not involve —mostly— exciting and new infrastructures such as the Turia River detour. The new studies deal with the analysis of new management strategies, smaller innovations and climate services that have large-scale impact. At the local scale, the Valencia city council has already started implementing adaptation actions for a different climate future. 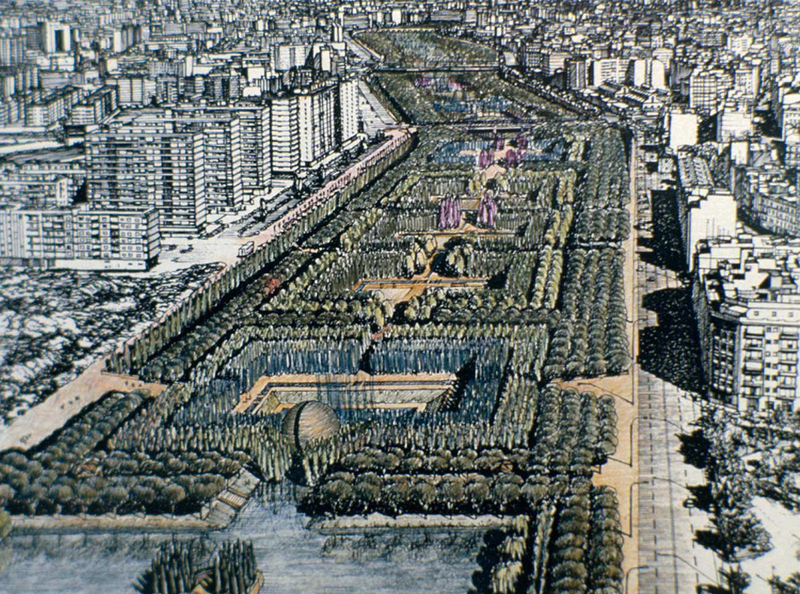 In the long-term, the Mitigation and Adaptation Plan for the City of Valencia sets goals such as the development of a low-emission energy system, the conservation of the “Horta” landscape and the promotion of green local markets. A “bottom-up” approach is proposed to achieve these goals. 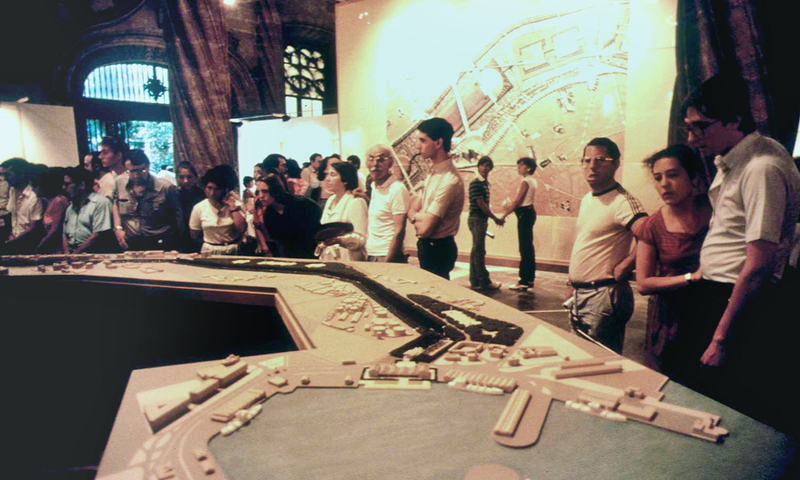 The objective is, first, to inform and educate the people of the city about the new global scenario, to encourage the development of a sustainable green economy, promote responsible use of the city and, along the way, designing an efficient city according to the citizens demands. 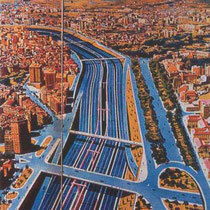 For example, the “cycling ring” is one of the first steps towards a new model for citizen mobility in Valencia. The cycling infrastructure, of which the first section was completed in in 2017, aims to promote bicycles as a reliable and safe alternative for moving around in the city. At the same time, the city administration aims to reduce the CO2 emissions of Valencia by renewing the bus fleet and improving the energy efficiency in public buildings. The regional government is currently working on developing the “Valencian strategy for climate change and energy, 2030”. This document aims to coordinate the adaptation and mitigation strategies between local and regional administrations, taking a holistic approach to the climate change challenges. 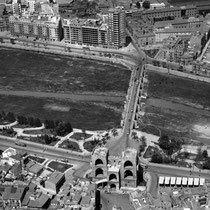 The adaptation cycle to climate change for the city of Valencia is nowadays focused in the proposition and study of new adaptation measures. Some early measures for adaptation and mitigation have already being implemented (cycling ring, renewal of bus fleet) and their positive results have motivated both local administration and citizens to dive more deeply into the concept of sustainable development. 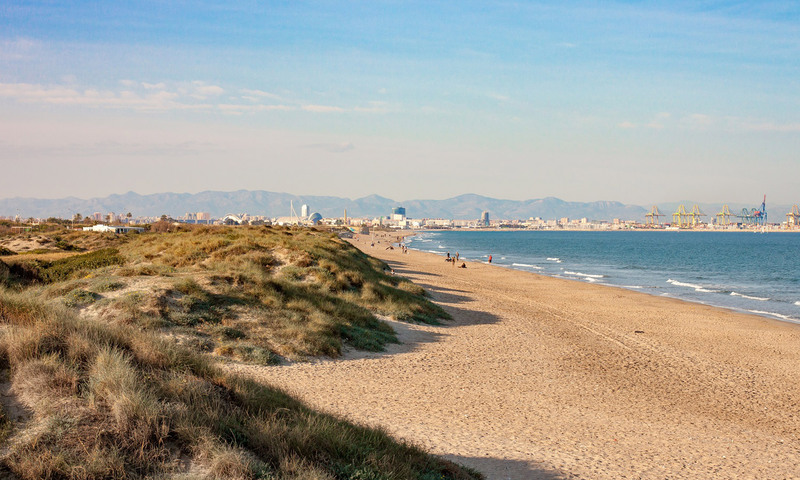 Many readers have seen reports of water scarcity in Spain and many that have travelled to the region of Valencia may have first-hand experience of the effects of water scarcity. 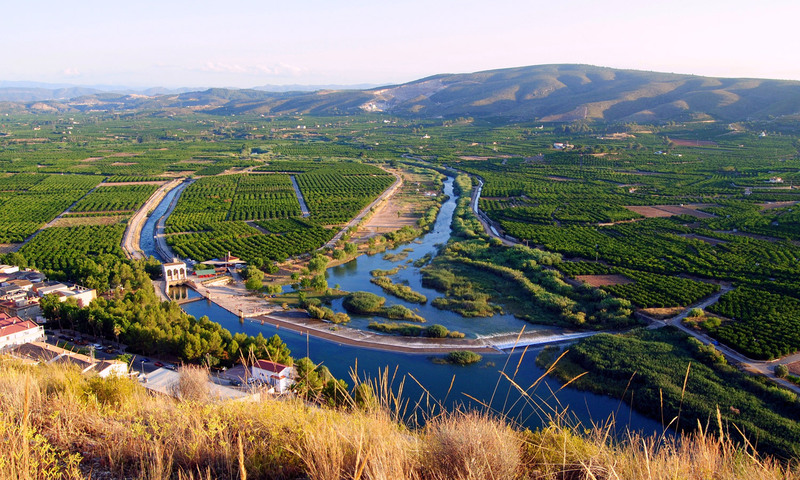 Not only are the issues related to water challenging for locals and tourists, but also for the ecosystems in general, and specifically for the production of oranges, the iconic fruit of Valencia. 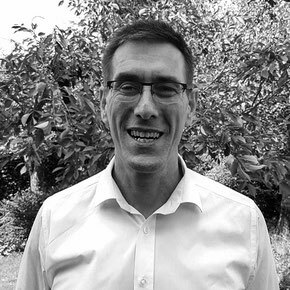 A significant fact is that, currently, half of the water bodies of the region do not comply with the requirements of the EU Water Framework directive water quality standards and that problem will likely get worse with a projected dryer and hotter climate. These challenges beg the question of how to respond to the effects of climate change. And it’s not only a question of how to respond, but also who and when must we act on the increasing knowledge of climate change impacts. Water-use in the Valencian region is intense, often competitive between land owners, and is a complex social, economic and ecological issue. Decisions on water management, allocation, are made at the highest political level. Often norms and values of one party, e.g. decision-makers, are not accepted by other water-use stakeholders. Therefore, management changes and interventions are similarly complex, often disputed and rather slow. However, when we narrow our focus from the larger basin to specific uses and users, the actions of individuals can be managed for faster and appropriate changes to achieve sustainable water use. 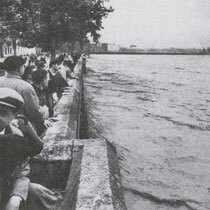 For example, Valencia is famous for its historic Water Tribunal. 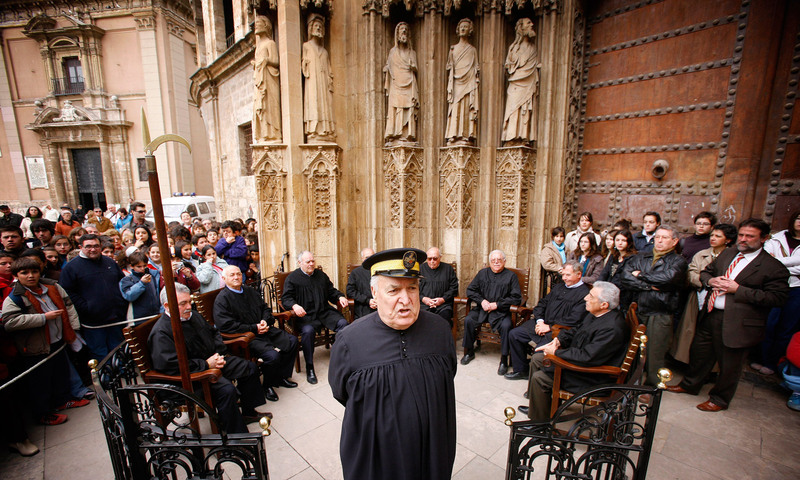 Every Thursday at noon, since times immemorial, the tribunal meets at the Apostles’ Gate of the Valencian Cathedral to decide on irrigation disputes. 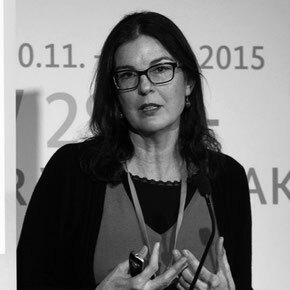 Praised by experts as a model of procedural law, the process for reconciliation of water disputes is rooted in a few simple ingredients: the judges hold local knowledge; their decisions are made promptly and transparently (vocally and publicly); they do not receive financial compensation; and, the disputing parties incur no costs to be heard. Does these historical principles for irrigation management have potential to be applied to other water-management issues? The supply of potable water is managed at the municipal level (city administration) using basin-wide regulations and permits to distribute water. Javier Macián Cervera from the local company Aguas de Valencia, the sole water supplier, recognizes that so far, “it has never happened that we didn’t receive enough water to distribute to the users, but managing water resources wisely is very necessary”. Therefore, over the past decade the company identified patterns of water consumption by its users. He continued by saying: “At Aguas de Valencia we hold enough knowledge to incentivize people to change their behaviors of water consumption”. 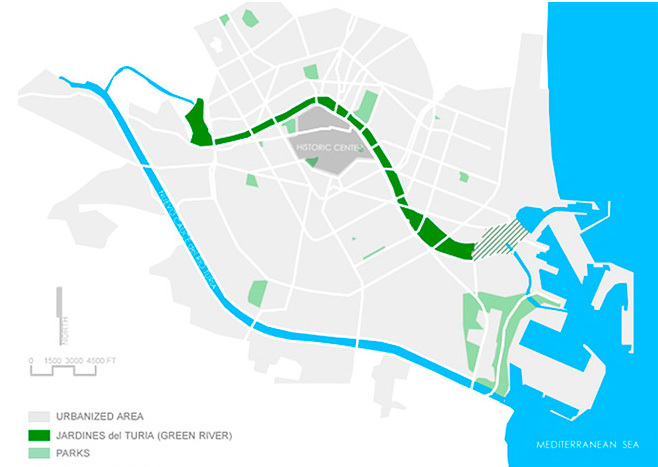 The Adaptation Plan for the city of Valencia identifies the need for bottom-up approaches, which in the logic of Aguas de Valencia means changing citizen’s behavior and consumption of domestic water accomplished by incentives and education. However, climate change brings other challenges for Aguas de Valencia, such as the issues produced by water scarcity and drought. These challenges have to be addressed by scientists and researchers. This is the mandate for the INNOVA team: Developing a climate service that satisfies the needs of Agua de Valencia to support the equitable distribution of potable water to its users while at the same time encouraging water savings and responsible consumption of domestic water. 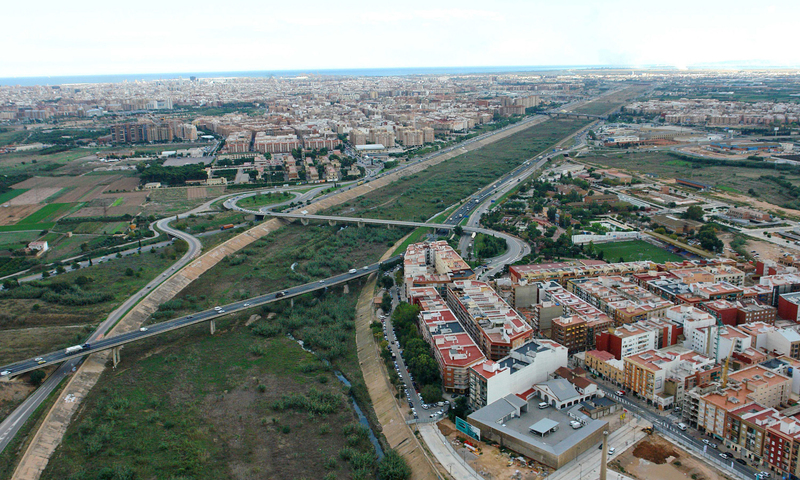 Aguas de Valencia intends to combine the climate service that INNOVA will create, with local knowledge, to improve decision-making and support implementation of its decisions. It is hoped that these two factors, conceptually “borrowed” from the activities of the Water Tribunal, will assist urban water supply in a different future climate. Supplying water to more than 1.6 million people living in and around a city already affected by climate change is a huge challenge. 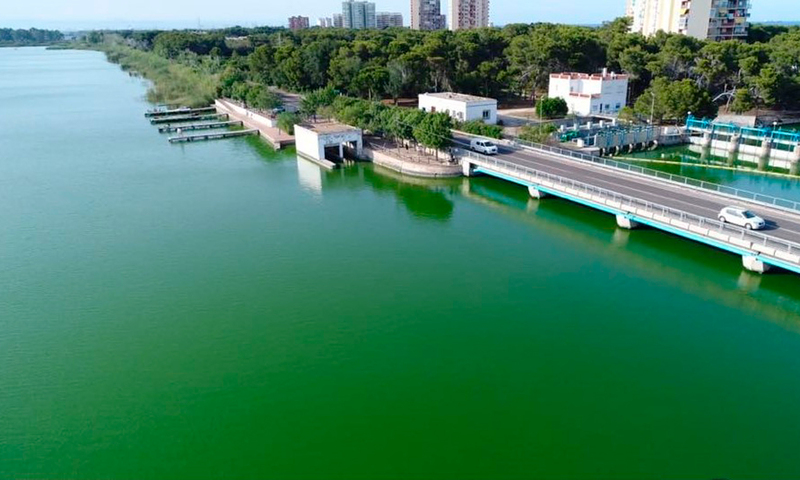 Therefore, the Research Institute of Water and Environmental Engineering (IIAMA) of the Universitat Politècnica de València (UPV) and the urban water supply company, Aguas de Valencia, have decided to join their efforts to find solutions for this very real societal issue. The main goal of this partnership is to study the effect of climate change on the future raw (untreated) water available in the region. 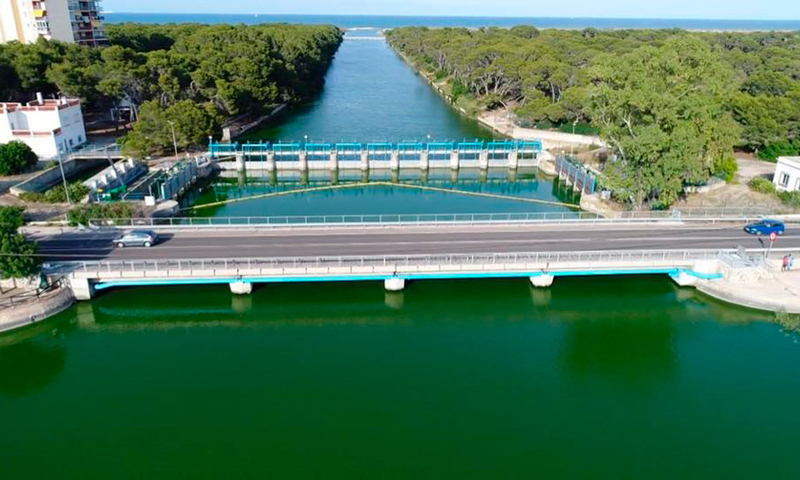 Researches from the IIAMA will estimate the water condition for future scenarios and will assist Aguas de Valencia into finding the best strategies to treat and manage this vital resource. This partnership is part of the INNOVA project. The Valencian Albufera Natural Park and lagoon, at just 11 km of the city of Valencia, provides easy access to experience nature, boat trip and watch exotics birds. 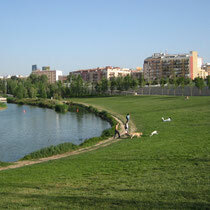 The reserve is a Ramsar Site in the list of wetlands of international importance for birds. A very extensive area (223 km²) of rice fields surround the lake and create a landscape with deep cultural significance. 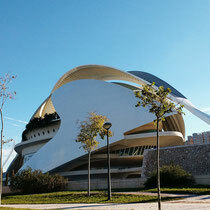 In this second Ezine we introduce the Valencia hub of the INNOVA project. In subsequent issues we will introduce the remaining hubs, each with its own societal context, perspectives and climate change impacts. These Ezines will also explore topics related to climate projections, adaptation, how climate services are developed, amongst others. Importantly, the Ezines will present the progress and findings of the INNOVA project in a way that is easy to understand.